Brief Description of Subject: The baptism of Our Lord begins His public ministry. 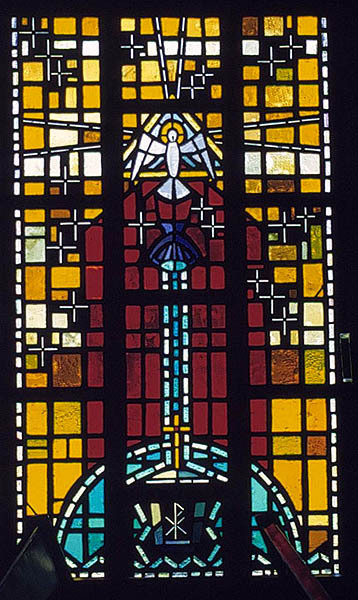 In this window we find symbols of Baptism. The dove represents the Holy Spirit who descended upon Him during Baptism. The water is shown flowing from the shell John used to Baptize Christ and flows over a present day baptismal font to remind us of this gift which He gave to us.